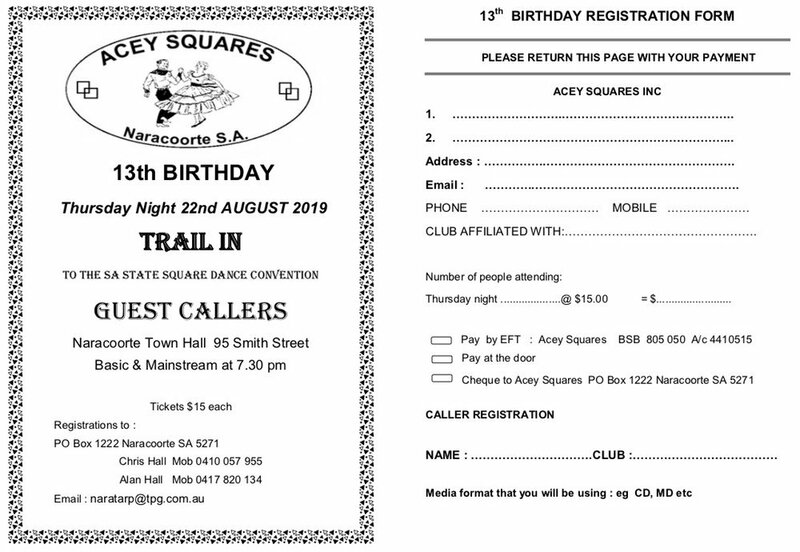 State Convention 2019 | The South Australian Square Dance Society Inc. Please book your accommodation in Naracoorte as soon as possible. �There is another event in town at the same time which may make it difficult to secure the accommodation of your choice. 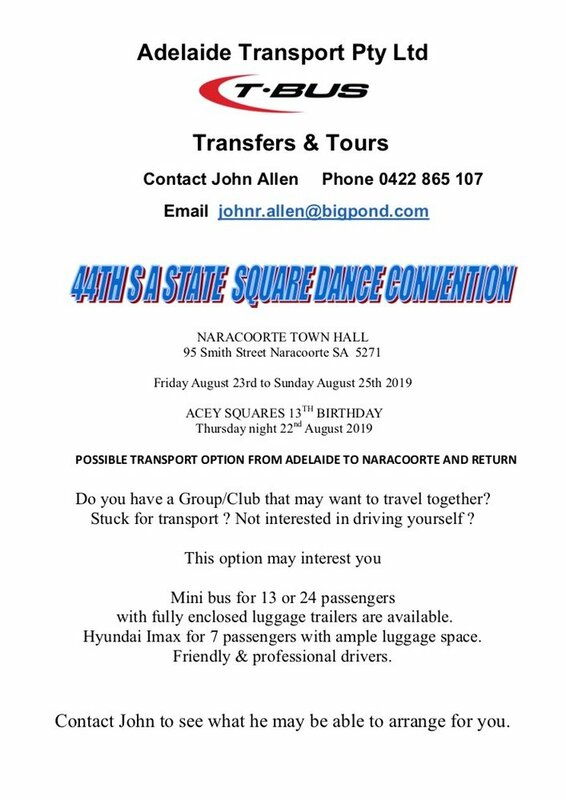 If you are looking at transport options to Naracoorte for the Convention, please refer to the flyer below.